C-West uses the enormous amount of data extracted from the racing field to produce its aero parts. These aero parts distinguish themselves by bringing out the maximum potential of the vehicle while accentuating the existing body lines. Because these parts were designed using actual race data, they aren’t just dress up parts, but actual functional components of the vehicle. The aerodynamics of a vehicle are often overlooked from a tuning stand point yet it is one of the most important factors of vehicle performance and handling. Carbon Fiber is the ideal material to fabricate aero panels from because of its extreme lightweight and strength, that’s why it is found on so many race vehicles. A vehicles aerodynamics is one of the most overlooked factors of a vehicle by enthusiasts. Improving a vehicles aerodynamics can improve handling, top speed, and stability. It is also a great way to improve your vehicles looks, as the aggressive lines are similar to that found on the race track. But the aggressive lines aren’t just for looks; they increase down force, reduce drag, and minimize air turbulence, making your vehicle more stable at high speeds, which is a must for a vehicle with the power and capabilities of the GT-R. Please add item to cart for shipping cost or contact us for a quote. C-West originates in Japan where to best of the best do battle to prove their racing capabilities. Their aerodynamic kits for such popular cars as the S2000, 350Z, STI, EVO, RX7, and many others have been tested and proven in such racing environments as the “Super Taikyu”. Developing optimal aerodynamic functionality such as down force, cooling, reduce coefficient of drag, lightweight, and easy to install components are all key features of the C-West products. 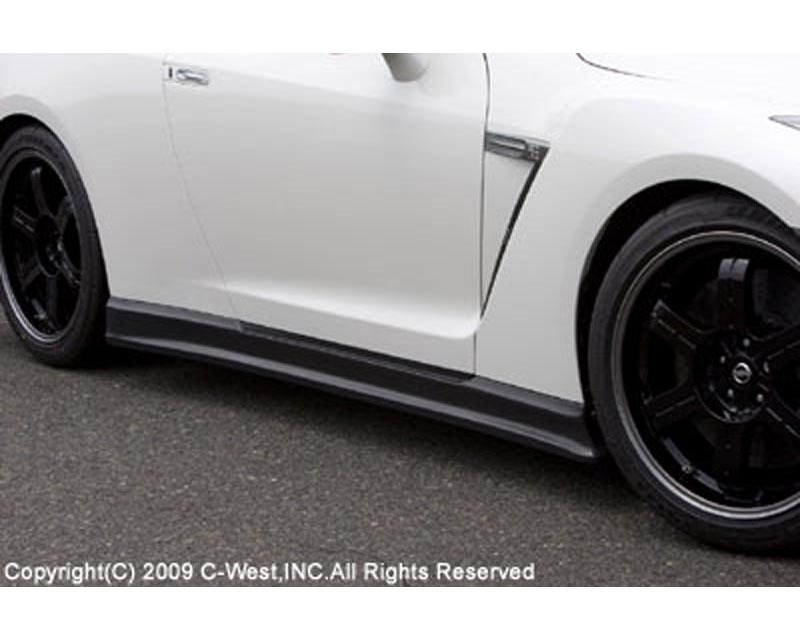 C-West will continue your drive for optimal performance with their high quality racing aerodynamic products.